This is the best raspberry jam I have every had. It is cooked and has no pectin because I like raspberry jams to be less sweet (pectin requires more sugar). I also think freezer jam preserves the flavour and colour of the raspberries better. 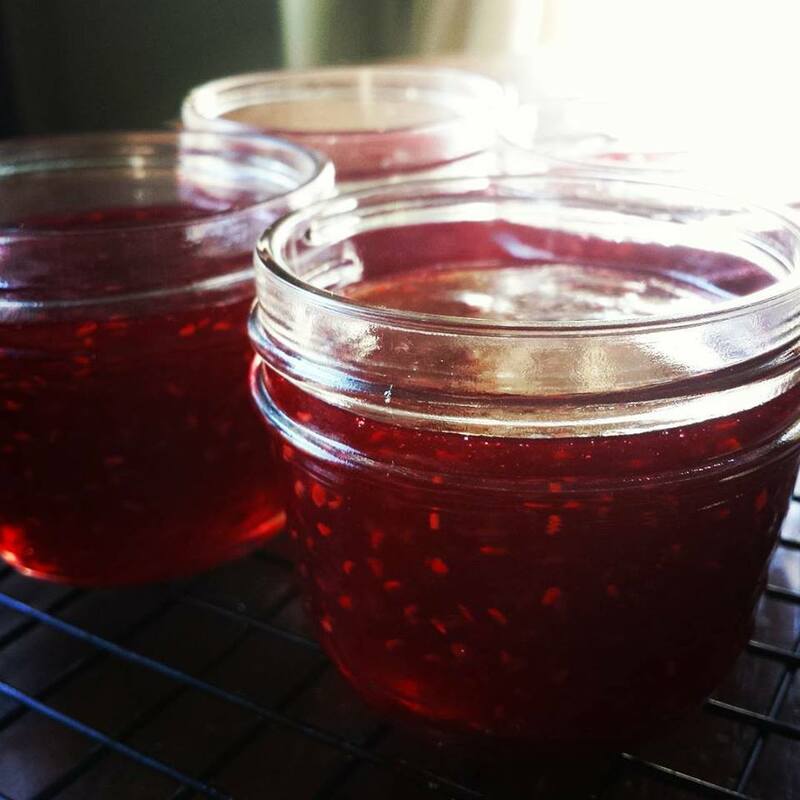 This jam stores in the freezer for up to a year and refrigerates for up to 3 weeks (that's why I use small jars). I also like seeds in my raspberry jam but you can always strain them out, if you wish, before freezing it. Enjoy! 1. In a bowl, gently mash the berries but leave big chunks. 2. In a large pan over medium high heat, combine the berries (and juices) and sugar. Stir well to combine. 3. Bring to a boil, stirring constantly. Boil for 10 minutes, skimming out any foam as it boils. Remove the pan from heat. Add the lemon juice and salt. 3. Pour in sterilized jars (leave room at the top to expand). Allow the jam to cool completely before sealing the jars. Store in the freezer for up to a year or refrigerate for up to 3 weeks.